This home does not have A/C and does not accept pets. No large gatherings, loud noise, or disruptive behavior. Large and luxurious ocean front property. 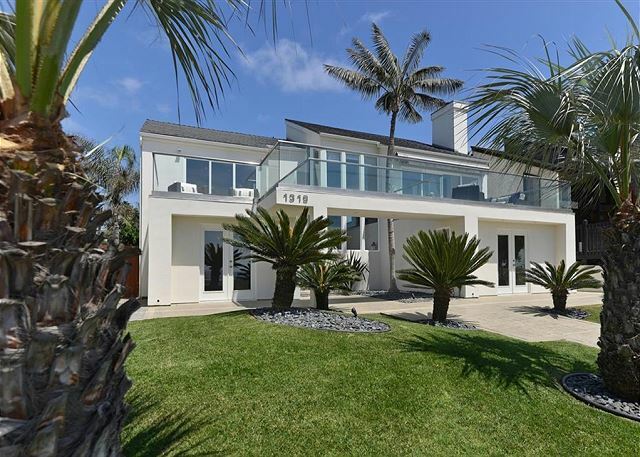 With 4,300sqft of panoramic ocean views, this home will be the star of your vacation. The whole family can have their own space to relax and unwind or gather everyone together on the main level to share a meal while making life-long memories. 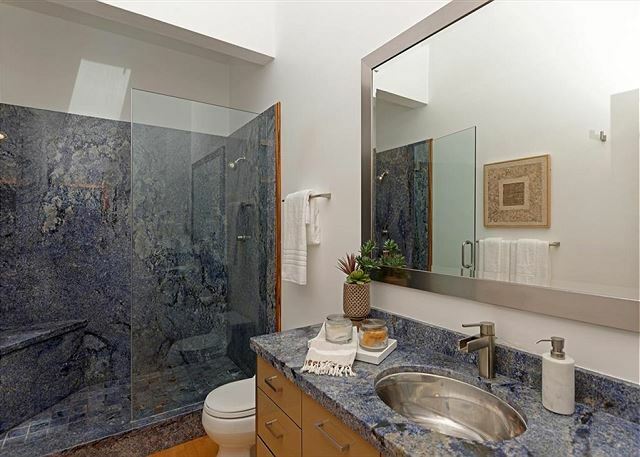 The main level has a clean and modern floor plan with plenty of natural lighting from the ocean front window. This gourmet kitchen has top of the line appliances including an extra large refrigerator. The master suite is also on the main level with a King bed, full bathroom, and a private ocean front balcony. Wake up to the sights and sounds of the waves rolling onto the cliffs below. Watch out for dolphins and whales and boats traveling along the coast. The ground floor has a media room, with comfortable seating, excellent sound system, and a large flat screen TV. With essentially two livings rooms, your family does not have to decide on a single form of entertainment. Also, you will find three bedrooms and two full bathrooms on the ground floor. One bedroom has a King, one has three Twins, and another has one Queen and a Twin daybed with a pull-out Twin Trundle. From the ground floor you can access the spacious outdoor seating area and large back yard. Enjoy chasing the children around on the beautifully manicured lawn or just layout and relax in the sun instead. The location of this home could not be better for a vacation. 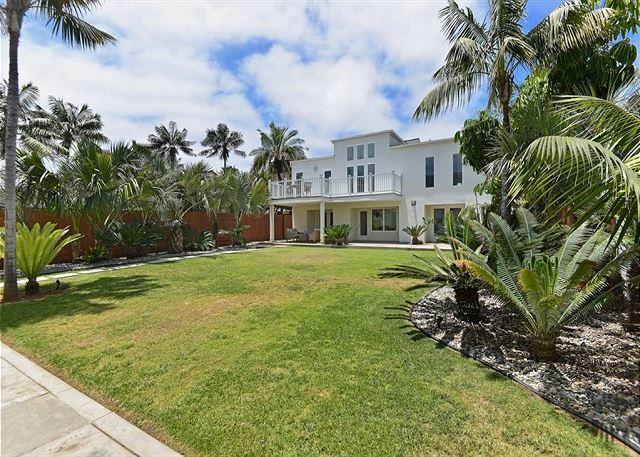 Located among other affluent homes and across from the pedestrian trail along the cliffs. You can experience the amazing sunsets right from your home or go for a walk along the cliffs as the sun is setting. The home is also walking distance to many shops, restaurants, and breweries. You can choose a different restaurant for every night of your stay or go on a craft beer tasting adventure by visiting the many local breweries in town. To play in the waves you can walk down to the beach by the pier. We wanted to spend a memorable holiday with our family of 10. We had so much fun, including, games, puzzles, a trip to Mexico, the beauty of the ocean, and many meals together. The only suggestions we would make would be a table that had seating for 10, a regular coffee maker, and trash picked up before we arrived. We appreciate the owner making it possible for us to enjoy this unique home! Thank you for your wonderful review and suggestions. We truly appreciate it. We hope you will remember us the next time your stay in San Diego.